The key to maintaining normal body weight lies in regular exercise and getting weight under control before puberty. Even though some teenagers may eat less than their thinner peers, fat cells laid down in the body at an early age never go away. Lack of exercise and an abundance of fat cells alter body chemistry and create an environment where fewer calories in cause more weight gain. And obesity expert Matthew Gillman of the Harvard School of Public Health says the amount of physical activity kids participate in is key. “When you’re less physically active, you actually need fewer calories to maintain your weight,” he explains. But if that weight is already higher than it should be, that could signal the beginning of a long-term problem. “Once you become overweight, there are changes in your body that make you different from someone who’s not [overweight],” explains Sophia Yen of Stanford School of Medicine. “You have extra fat cells, and you have different insulin levels,” which can make it feel like you’re eating less than you are. 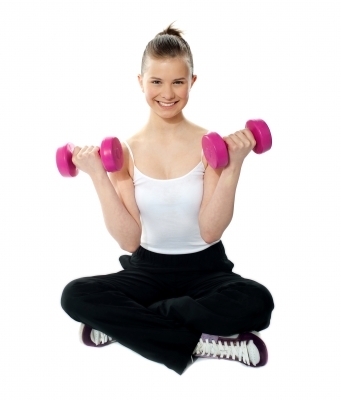 Being fit at at early age is crucial and tackling weight gain before it begins can provide a lifetime of good health. Should All Kids Be Screened For Cholesterol? 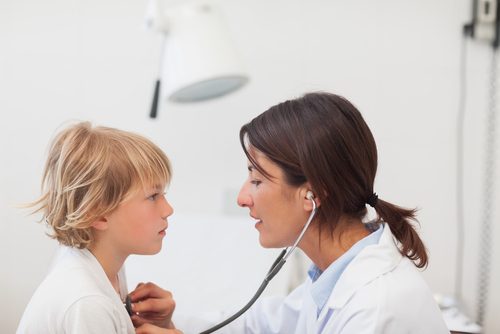 Should your child’s annual physical include a cholesterol screening? And, if so, should the results warrant, should he be put on statins? This is the debate amount physicians. There is worry that pharmaceutical companies may have too much sway over doctors who may be influenced by money to push cholesterol lowering drugs on children. However, a growing obesity rate would suggest that high cholesterol and the danger of developing heart disease is a real possibility. The guidelines are endorsed by the Academy of Pediatrics, which publishes the journal that carried the critical commentary Monday. The panel recommends that all U.S. children should get blood tests for high cholesterol as early as age 9 and that testing should begin much earlier for kids at risk of future heart disease, including those with diabetes or a family history of heart problems. Treatment should generally begin with lifestyle changes including diet and exercise, the guidelines say. Cholesterol drugs would be recommended for some kids, but probably less than 1 percent of those tested. But the advice says those drugs, including statins, shouldn’t be used at all in children younger than 10 unless they have severe problems. The guidelines aim to help prevent and treat conditions in children that put them at risk for later heart-related problems. At least 10 percent of U.S. children have unhealthy cholesterol levels and one-third are overweight or obese. How about preventing obesity and not taking the risk of side effects from unnecessary drugs? A recent study found that kids who played on three or more sports teams in a year, were 27% less likely to be overweight, and 39% less likely to be obese than those teens who did not play team sports. The study also found that biking or walking to school had less of an effect on a student’s weight – although it did reduce their likelihood of being obese. Researchers believe playing high school sports, which usually involve regular practices and competitions, reduces a child’s chances of having a weight problem because of the strenuous and consistent workouts. Therefore, study authors conclude, increasing a child’s opportunity to play sports, even if they are not gifted athletes, should be a priority, especially for teens and children entering middle school or high school. 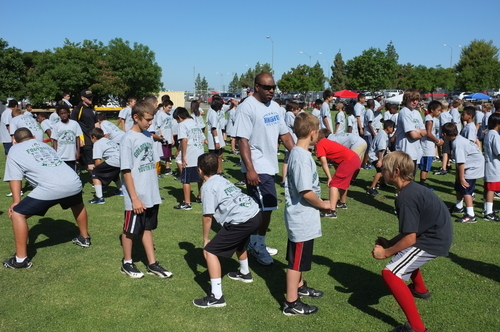 Organized sports is a fun way to motivate kids to keep active and stay competitive. 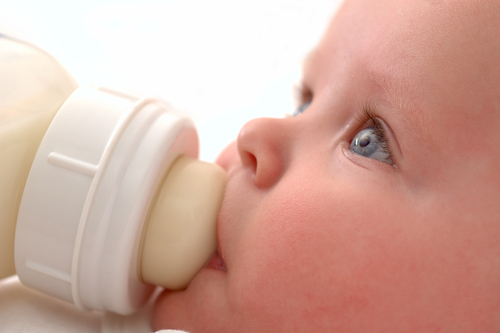 Sugars found in infant formulas are not listed as an ingredient on packaging. This is disturbing news for parents, pediatricians and anyone concerned about childhood obesity. While “breast is best”, babies who do receive formula are at risk for developing a super sweet tooth. Added sugars, of the wrong kind, contribute to creating fat cells in the body which never go away. The more fat cells developed the tougher it is to maintain healthy weight. Among the results, Enfamil Premium and Parent’s Choice Premium Infant formulas had the highest sugar content at 13.5 and 12.4 grams of lactose per serving. Lactose is what scientists call the best type of sugar and it’s the kind found in breast milk. Three formulas tested low for any sugar: Gerber Good Start, Similac Advance Complete, and Enfamil Pro-Sobee. But two, both made by Similac, did contain other added sugars. Similac Advance Organic Complete Nutrition contained one of the sweetest kind of sugars, sucrose, measuring in at 3.5 grams per serving. That’s roughly the equivalent of one teaspoon of sugar for every five ounces. In Europe, concern over childhood obesity led to a ban on sucrose in baby formula. Dozens of countries do not allow the kind of sugar that was found in those two brands. Dr. Mark Hyman, author of “The Sugar Solution: The Ultra Healthy Program for Losing Weight, Preventing Disease and Feeling Great Now!”, points out that 2 million kids are now morbidly obese. Diabetes and pre-diabetes are just around the corner and the treatments are failing.